Colony Roofing Inc. started in 1967 and is still family owned and operated. We bring three generations of roofing knowledge to each of our projects, along with industry certifications to corroborate our skill. Building and maintaining trust is the most fundamental aspect of business, and something we do not take lightly at Colony Roofing Inc, it is the cornerstone of our success. We won’t let anyone work on your home that we wouldn’t let work on our own. 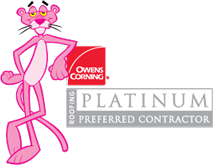 With 50 years in business Colony Roofing Inc. has developed a reputation we take pride in. Placing the customer’s needs first is our number one priority. We do business with honesty and integrity. Your safety and comfort depends on the quality of our work and the materials we use. Our high standards and attention to detail come with every job, and ensure you receive the best experience possible. Colony Roofing specializes in residential and commercial roofing. When choosing us you get personal service every step of the way to make sure you are completely satisfied with our work. From the first phone call to the final walk-through, we’ll be there.